Come and take a tour of the Metro Screen facilities and hear from our staff at the December Info Night Thursday 13 December 6pm – 7pm. This event is held every month for people interested in a career in Film, TV or Digital Media. Lytro cameras are plenoptic photographic cameras which capture all the available light in a scene going in every direction. It works by breaking up the main image with an array of microlenses over an image sensor. Translation – multiple focus points and fun! The Sydney Morning Herald gave the first episode of Forum Sydney on the topic Urban Planning 3.5 Stars. The panel show debuts this Sunday 2 December on TVS and streamed online. The Metro Screen production features radio personality Brian Carlton as the host. The [imi] Artist Workshops are a chance for artists and interactive entertainment company representatives to meet, engage in professional development and creative play. The next Sydney event is Friday 30 November. This advanced three-day workshop is a great chance for kids aged 11-15 years to create short films for TropJr and potentially kick start a creative career in filmmaking. Participants are encouraged to bring with them ideas for short films or a script that may be selected for production over the course of the workshop. Each student will have the chance to write, act, shoot, light, direct, edit add a sound track and produce a TropJr short film project. Martin’s Crazy Summer Holiday Hire Special! Whether you are shooting your TropFest short or your family reunion during the Summer holidays, book early and get an amazing deal. 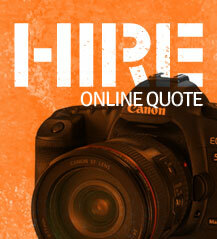 We are offering you 12 days of equipment hire for the price of four days. Pick up your gear on 21 December and you can use it right through until 3 January 2013 for the price of 4 days. First in, best dressed. Send us your booking through our instant quote online to redeem this once a year offer. He’s gone craaaaaaazy! Join a new movement aiming to engage Australian artists from all ethnic backgrounds in promoting multiculturalism using art and social media as powerful tools for intercultural dialogue. Help to shape new Australian multicultural policies that are practical, positive and inclusive. Talking Cultures a social network powered by the crowd (that is, you). Interested in getting your work seen by the world and not just a few punters at the local film festival? 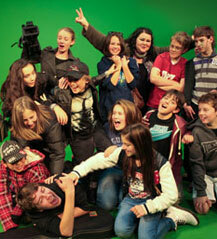 16mmtv is putting out the call for great filmic work to be broadcast on our non-profit streaming tv channel. 16mmtv provides exposure to tens of thousands of like-minded creatives, industry leaders and the general public. It¹s all about your work, not about 16mmtv, we are simply a vessel for your awesome work to set sail upon. Mina Student Diary has been adapted to a You Tube video from the original Manga-Comic of the same name. The story is a romantic adventure about a Japanese student from Tokyo who comes to Sydney to study English. Mina starts her new life in Sydney staying at a backpackers in Surry Hills. The original Manga comic is in Japanese with some English text. 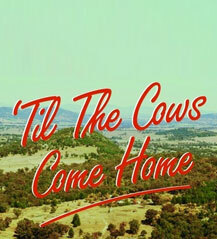 ‘Til the Cows Come Home is a comedy about Frank, a cattle magnate and the tyrannical mayor of a small country town. It explores the characters, politics and community spirit in rural Australia. This short film is in production with support from Metro Screen through the Jump Start program. The project is directed by Mathew Harvey and produced by Nicholas Hadland and will be shot in Tamworth during December 2012. A very special Top Gear Special, presented by Jezza and Capt. Slow Esq. In fact why don’t we let them introduce this particular slice of petrol heaven? Everyone has an opinion on bad cars but now it’s time to hear the ones that really count, ours! As it’s the worst car in the history of the WORLD. We’re on our travels to the North of England to name and shame the most rubbish car from a manufacturer which, frankly, should have known better. Brazil is the fifth largest country in the world, both in terms of population and geography. Over 192 million people call this land their home. Taking up over half of South America, Brazil is a mix of races, religions, sophistication, wildness, wealth, poverty and unexplored wilderness. The country is considered one of the rising global powers with vast natural resources, a burgeoning industrial base and a strong currency. In September 1942, a German U-boat fired on and sank a British troop carrier, The Laconia. As the U-boat Captain, Werner Hartenstein, listened to the cries of the drowning passengers he realised the ship had been carrying Italian prisoners of war, Polish guards and British women and children, and took the only course of action he could to save as many people as possible. This title tells the story of Hilda Smith, a German national fleeing Nazi Germany, Thomas Mortimer, an officer aboard The Laconia and Hartenstein, alongside the actions of the Germans, the British and the Americans.